First time posting.. 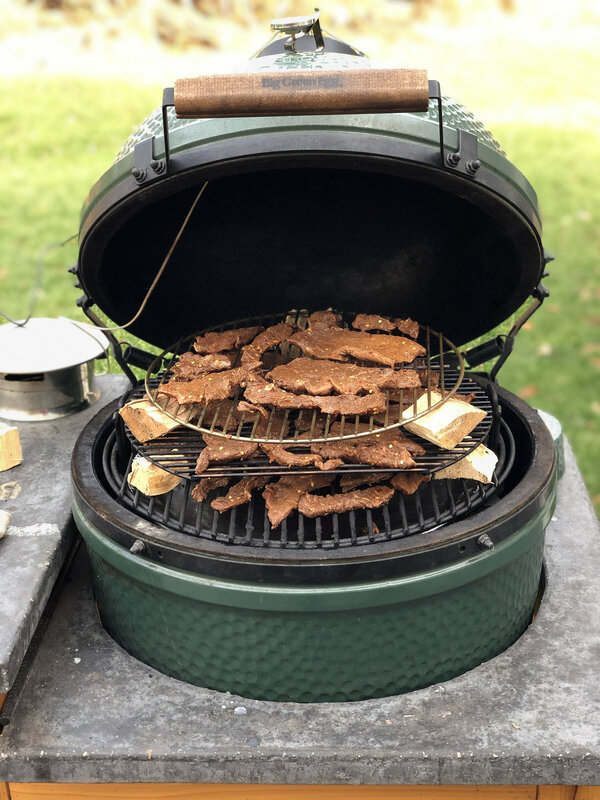 I've been cooking on the egg for a couple years now. Setup as 3 tiers, and smoked with hickory for 9.5 hours at 160 degrees. 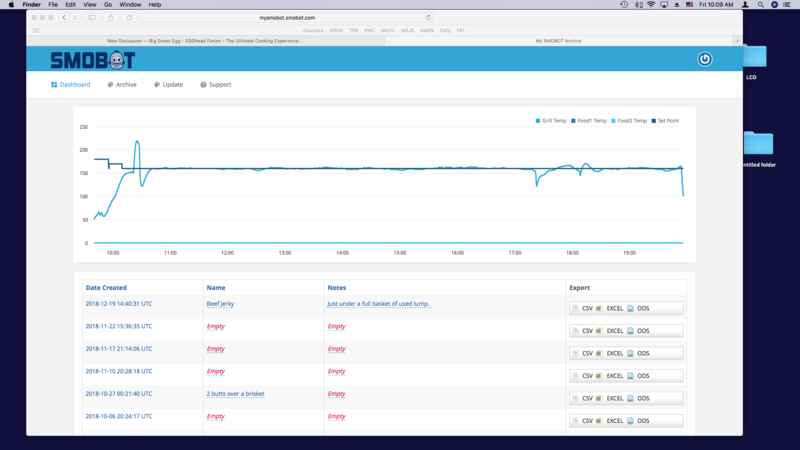 I was a little leery about trying to hold 160 degrees for an extended amount of time...but SMOBOT made it easy. As for the fire, I had slightly less than a full kick ash basket of used lump from a prior cook. I had the lower vent open about 30% so that the the top vent would have plenty of range to work with. SMOBOT controlled the top vent, maintaining about 30-40% open for the majority of the cook. 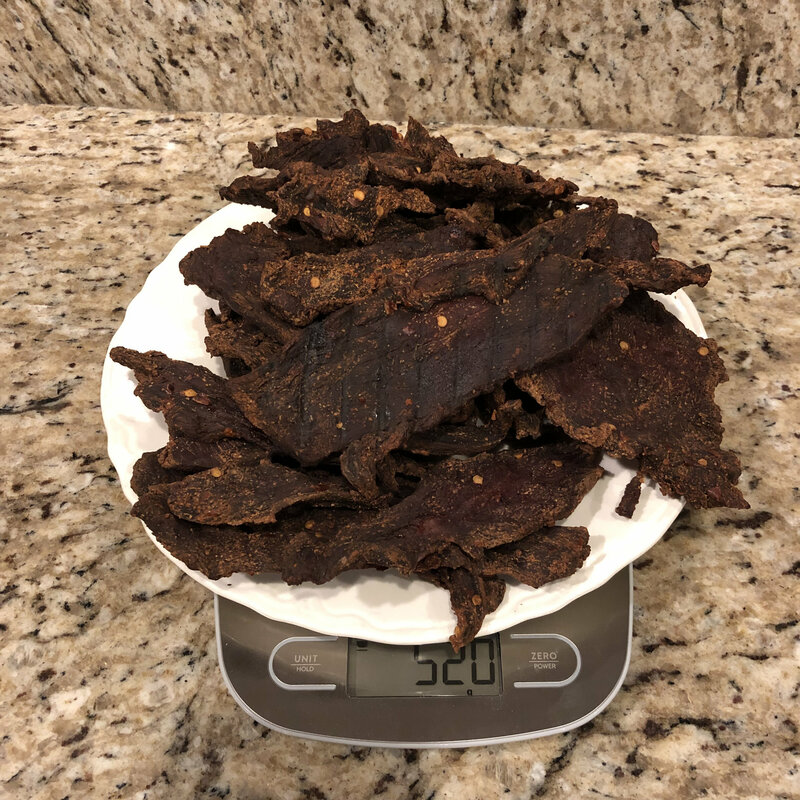 By the time the jerky was done, there was still 1/3 of the lump left compared to when I started... SMOBOT control was excellent, only deviating on average about 1-2 degrees. Even towards the end, when I was opening the egg to check the jerky, temps spiked ~5-6 degrees over target temp. Overall, the cook could not have gone any smoother. I will be doing this agin in a day or so...this time I'll be using skewers laid across the CGS extender, with beef hanging from the skewers. This should increase my capacity and also allow for more even drying compared to 3 grid levels.